TAFE Directors Australia is today announcing its manifesto for the future of tertiary education and for restoring balance between universities and TAFEs. It reflects the spirit of the 1970s Kangan report which laid the foundation for the TAFE model – engagement with community, development of knowledge and skills to grow jobs and the economy leading from the self-actualisation of the individual through proper vocational education. The Kangan model is just as relevant today and its spirit should be the bedrock for a new united tertiary education system in Australia. The manifesto is described in ten simple statements. Abandon the divide between vocational education and training and higher education, as the strong differences force people to make decisions between sectors often leading to poor choices and little options to change. Just as technical and academic high schools gave way to comprehensive secondary schools, so TAFE and University should operate under the same model. Preference should be given to vocational education as it’s a contemporary learning model – applied and relevant to the modern world as opposed to an academic approach stuck in books. Return responsibility for all tertiary education to the states and territories. After all, universities and TAFEs are established under state and territory legislation, the benefits from their activity flow locally rather than nationally and state and territory governments can engage them for economic growth as a new strategy in horizontal fiscal equalisation. Invest public funding toward those who need it most, especially if students have poor school achievement because we need to make sure as a country all citizens catch up to high levels of learning. Lock-in activity-based funding for all qualifications across the new unified sector as it’s an alternative form of performance-based funding which, amongst other things, encourages institutions to make students attend classes and tutorials. and to improve performance of a new look sector …..
Foster diversity in providers and approaches to teaching and learning, provided it accords with government legislation, funding, regulation and accountabilities. Install third and fourth parties between the institute and learners as it helps flavour teaching and learning: better still, give them control on the curriculum as they are likely to know more than the institute even though its mission is to have highly qualified and knowledgeable teachers at the forefront of their field who pass this on to students. Regulate tertiary education under one body, preferably ASQA, as it has the structures for dealing with a large number of providers and skilled auditors to get to the bottom of poor document keeping in universities, if there is any. Separate accountabilities for each revenue stream to force institutes to demonstrate achievement separately for each element of revenue and return un-used elements to the funders, even paying overseas students, in line with good public administration. Tax the school system for poor outcomes and transfer the revenue to tertiary institutions as they face the extra costs for helping students that schools fail to prepare for the future. In contemplating the manifesto, it’s important to take a wider focus to everything written here. Kangan II can be blueprint for the future. Individuals can choose how to read each element of the manifesto in a way she or he sees fit. The federal government has been handed the landmark review of the VET sector conducted by the former New Zealand Minister for Tertiary Education, Steven Joyce, but the findings may not be released until during the coming election campaign. A government spokesman told TDA on Saturday: “Last year the Prime Minister commissioned an independent review of the vocational education and training (VET) sector by former New Zealand Tertiary Education Minister the Hon Steven Joyce, to ensure Australians have the right skills to succeed in a changing labour market, and businesses have access to the skills they need to grow and prosper. “The Government will consider the findings of the Joyce Review as we lead into the Budget and election campaign,” the spokesman said. It suggests that some elements of the review or related VET measures could come as soon as tomorrow night’s federal Budget, with others to follow in coming weeks. There is an expectation that Prime Minister Scott Morrison will announce the election this coming weekend with the election to be held on May 11. The federal opposition will deliver the budget reply on Thursday. In a newspaper interview in January, Mr Joyce said one of the key recommendations of his ­review would address what he saw as a bias against VET in favour of universities. He also foreshadowed the introduction of performance-related funding, saying current financing arrangements were “confusing” and created “strange incentives” that encouraged people to “study things that might not be in their long-term interest”. An incoming federal government will need to confront a “low trust” VET sector and a TAFE system decimated by a 30-year failed experiment in marketisation, a paper by VET expert Professor Leesa Wheelahan says. “The vocational education market has comprehensively failed and cannot be fixed through adjusting settings,” says the paper, which was commissioned by the John Cain Foundation. It argues that TAFE institutes are the local anchor institutions of the VET system because they build links with employers, economic, social and cultural institutions and support the development of a skilled workforce while supporting disadvantaged communities. It says that 45 years after the Kangan Committee that led to the creation of TAFE, governments’ vision for TAFE has diminished. “…we have returned to ill-conceived rigid and narrow labour-force planning where governments seek to tie funding to programs for specific occupations, usually deemed to be ‘in demand’,” Professor Wheelahan from the University of Toronto says. The paper proposes VET reform based around a “capabilities approach”, and a new model for qualifications. It was presented to a forum on VET reform in February at the University of Melbourne. There were also presentations by Professor Shelley Mallett from the Brotherhood of St Laurence on the place of VET and young people, and from Professor John Buchanan from Sydney University on the way people move through occupations in the workforce over time. A former TAFE teacher, academic and horticulturalist, Dr Geoff Lee (pictured, right), has been elevated to Minister for Skills and Tertiary Education in the cabinet reshuffle announced yesterday by NSW Premier Gladys Berejiklian. 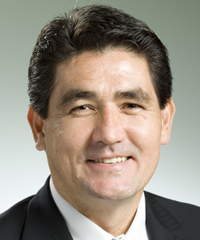 Dr Lee, the Member for Parramatta, takes the skills portfolio held by Deputy Premier John Barilaro who becomes Minister for Industry and Trade, and Minister for Regional New South Wales. 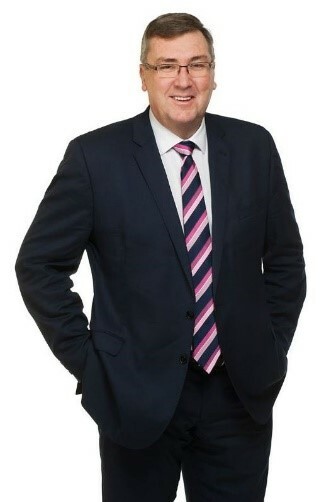 The former Assistant Minister for Skills Adam Marshall is the new Minister for Agriculture and Western New South Wales. Dr Lee studied horticulture at the University of Western Sydney, Hawkesbury campus, and ran a garden centre and landscaping business. He completed an MBA at Macquarie University and taught part time at Liverpool TAFE, lectured at UWS, and earned a Doctor of Business Administration. He was also Associate Dean (Engagement) at UWS. The new Minister for Education is National’s MLC Sarah Mitchell (pictured, left), replacing Rob Stokes who moves to his former planning portfolio. Federal opposition leader Bill Shorten has promised that a Labor government will provide $1.5m to Holmesglen’s Chadstone campus to create a simulated construction site for trades training. During a visit to the campus last week, Mr Shorten committed the money as part of Labor’s $100 million Building TAFE for the Future Fund. The Integrated Building Simulation Centre will simulate a wide range of work scenarios common on building sites. 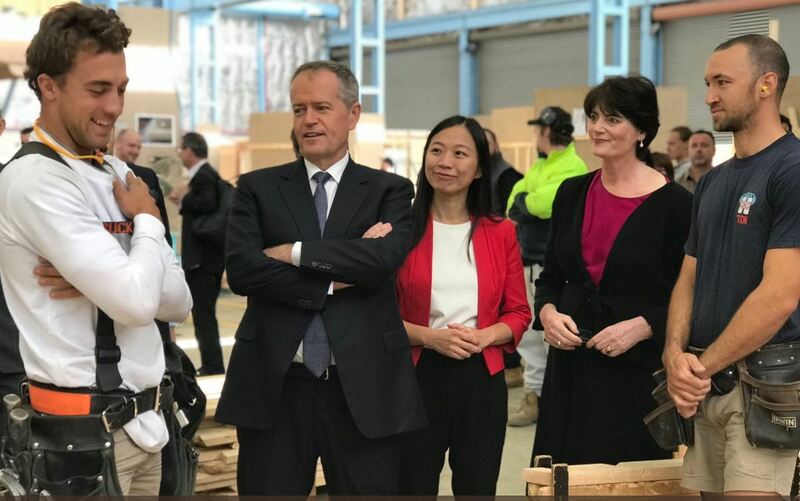 Mr Shorten said the new centre will enable apprentice tradies, supervisors, planners and engineers to better collaborate in order to solve problems. It would also allow educators to simulate workplace safety scenarios for students. 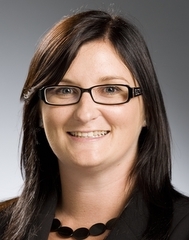 Lisa Line (pictured), the CEO of The Gordon in Geelong has been appointed Deputy Vice-Chancellor for Pathways and Vocational Education at Swinburne University of Technology. Lisa has been CEO at The Gordon since December 2013 and previously held an executive role at Plymouth University in the UK. Swinburne Vice-Chancellor Professor Linda Kristjanson said during her time at The Gordon, Lisa had helped design a clear and inspiring vision, grow market share, and consistently achieved strong student satisfaction and employment outcomes. “Her passion and commitment as a leader in the education sector is toward realising and maximising the vital connection between industry needs, teaching excellence and career pathways,” Professor Kristjanson said. Lisa will commence in the new role in June. South Australia’s first Advanced Welder Training Centre has opened at the TAFE SA Regency Campus as the state gears up for a near decade-long shipbuilding program. At the official opening, the Minister for Industry and Skills David Pisoni said the centre would ensure skilled local welders were ready when the naval shipbuilding program commences at the Osborne shipyard next year. It is expected that the from 2020 to 2027, the program will require around 2600 tradespeople, almost half of them welders. TAFE SA Director Defence Industries Penny Johnston said that there were many advantages for students using the cutting-edge technology as part of their training. “The detailed feedback a student receives on their performance on the simulator is instantaneous and increases the rate at which they acquire an understanding of how they can improve,” she said. The centre, a partnership between TAFE SA and Weld Australia, is equipped with a state-of-the-art augmented reality lab featuring the most advanced welding simulators in the world. The federal government has extended by three months the deadline for VET trainers and assessors to meet new higher standards. The date for the new credential requirements for trainers and assessors to take effect has been extended from 1 April to 1 July this year. The Department of Education and Training website says that trainers and assessors at some registered training organisations (RTOs) may not have met the original deadline because of increased numbers accessing gap training. “This resulted in some RTOs being unable to keep up with demand to assess and issue relevant documentation by that date,” the department says. The Australian Industry and Skills Committee approved changes to the Training and Education (TAE) Training Package in 2016 to require new credentials in the design of assessment tools and in language, literacy and numeracy skills.